Stadia 24 is genuinely a revolutionary new product in the world of synthetic sports pitches. For the first time synthetic sports surfaces are able to imitate real grass, without the need for a Rubber Crumb or Sand in-fill. Normally, 3G pitches require this in-fill, which is usually rubber crumb or sand, to absorb the impact of a ball landing on it and give it more stability and an even bounce. The special characteristic of Stadia 24 that allows for no in-fill, is the cleverly designed Monofilament curled layer. This is a layer of shorter, curled Artificial Grass that sits within and amongst the normal, taller blades. This curled layer is effectively able to replace the need for an in-fill. Removing the need for an in-fill has a number of advantages. One of the most common complaints from players using 3G pitches is ‘sand splash’. During a football match, a player may kick the ball in the direction of other players, when this happens on a 3G pitch, it’s common for some of the sand or rubber crumb to lift off the floor and fly through the air. Consequently sand can, and often does, fly into a player’s eyes during a match. This is completely eliminated with Stadia 24. One of the main benefits of Artificial Grass is the reduction in maintenance costs. It doesn’t require regular mowing or de-weeding and the pitch is more durable so it doesn’t get churned up. However over a number of years normal 3G pitches do need some maintenance. One common problem is sand migration, where the sand moves very slowly over time. Sand also needs to be replenished after a number of years. Obviously this is never needed with Stadia 24. One exciting innovation from Stadia 24 is that it can be laid ‘opposed’. This subtle installation technique can make a huge difference in the professional feel of a sports facility. 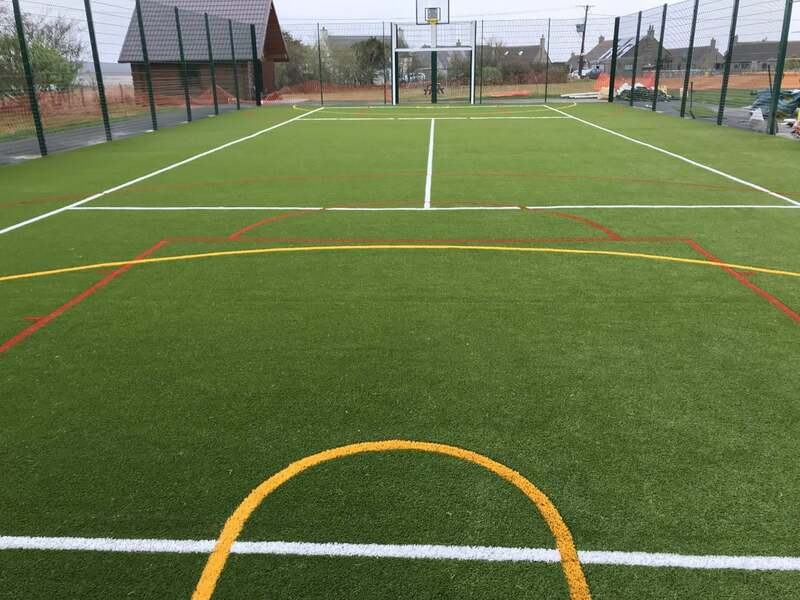 It’s common in leisure centres to have indoor MUGAs and football pitches with a carpet or wooden floor, whilst having MUGA Artificial Grass pitches outside. This is because normal Artificial Grass surfaces can’t be laid indoors without the fill-in making its way into the rest of the building. 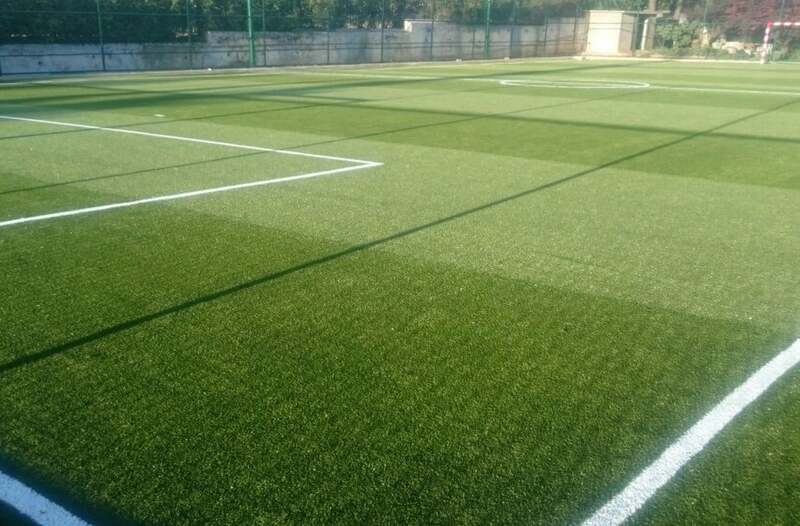 However, the advent of the revolutionary Artificial Grass Stadia 24, means that leisure centres can now build functionally brilliant and amazing looking indoor Artificial Grass pitches. 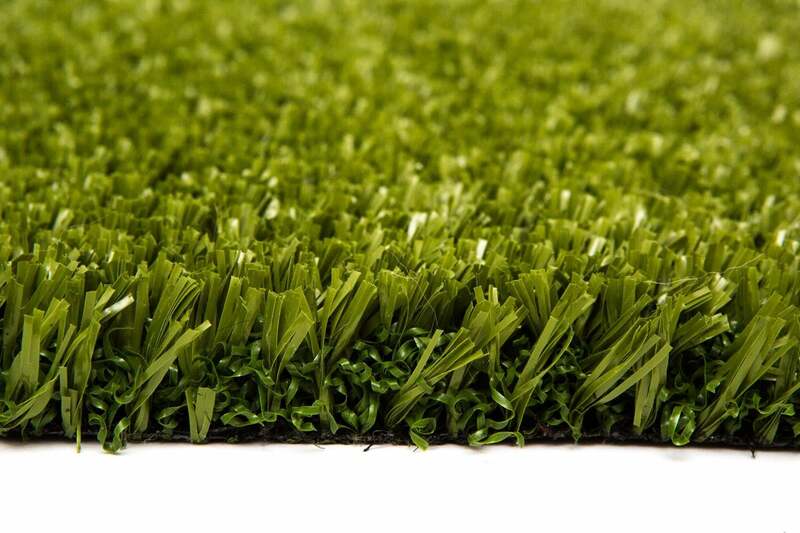 We can’t wait to see some installations of indoor Artificial Grass Sports surfaces.